I can just hear the well heeled gold dripping, high heeled diva’s exclaiming over how how cute this pod-like mini yacht is…. Italian design studio Lazzarini presented its first “mini yacht” during the 2013 Monaco Yacht Show. 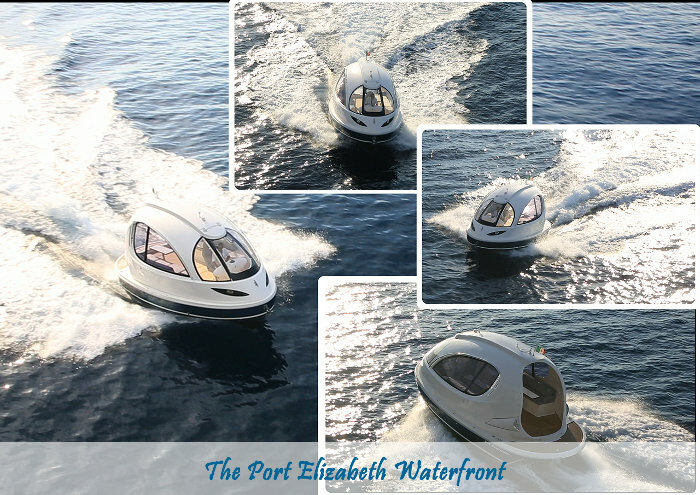 The Jet Capsule is a compact water craft measuring 7.5 m (24.6 ft) long and 3.5 m (11.5ft) wide. The futuristic looking vessel can be customized to suit a myriad of purposes, including a water taxi, emergency water vehicle, patrol boat, scuba diving vessel or recreational cruiser. Various examples of this luxury craft are now available for purchase from Jet Capsule. Four different available layouts fit from 6 to 13 people. The ‘jet capsule’ has an average cruising speed of 25 to 38 knots. The ‘jet capsules’ are available with single or dual engine configuration, as well as an electric auxiliary engine for protected areas such as lakes or natural reserves. Stern drives are also available and the choice is up to the clients depending on their control/sailing preferences. The average fuel consumption at full load is approximately 25/30lt per hour. This water vehicle can adapt to any purpose. At night time, the Jet Capsule’s interior and exterior lights are designed to give the impression that the vessel is an out of this world spacecraft, hovering over the water. Early indications are that the Jet Capsule will sell for $250 000 (R3 526 100 at today’s rate). 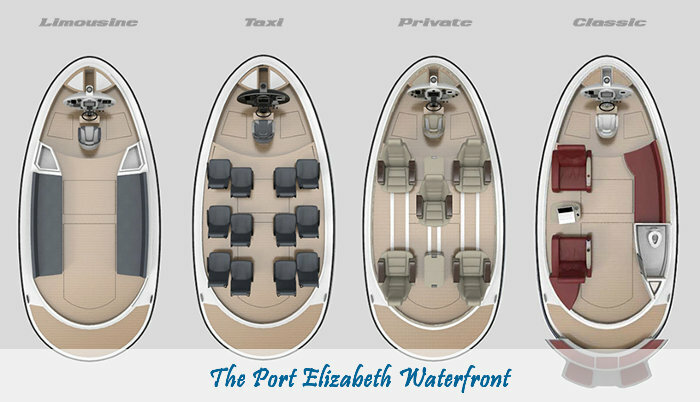 Contact PE Waterfront to have YOUR vessel featured here.